To save his life, the fundamental choice of whether or not to become augmented with cybernetics has been removed from Adam Jensen's life. Driven by the conviction of never having a choice taken from him again and using his newfound power, his need for answers will unravel the truth behind a conspiracy rooted in the foundation of the world around him as it incites a new revolution. Deus Ex: Human Revolution follows up on the critically acclaimed Deus EX and Deus Ex: Invisible War as the the third game in the strategic sci-fi action series. When a black ops team breaks in and kills the scientists Adam were hired to protect as a guard of one of America's most experimental biotechnology firms, everything you thought you knew about your job changes. At a time when scientific advancements are routinely turning athletes, soldiers and spies into super-enhanced beings, someone is working very hard to ensure mankind's evolution follows a particular path. You need to discover why -- because the decisions you take and the choices you make will be the only things that can determine mankind's future. The Square Enix Deus Ex Human Revolution PS3 Playstation 3 Game was added to the PS3 Playstation 3 Games category in June 2016. 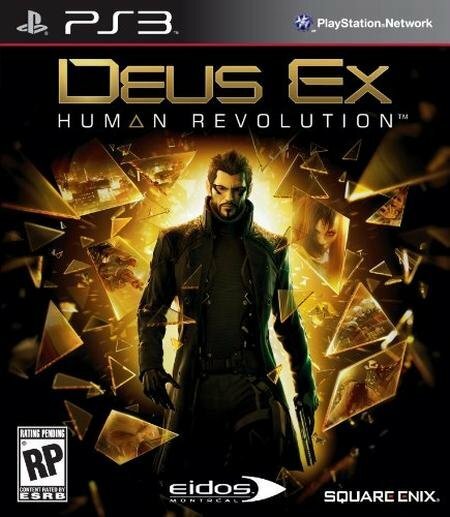 The lowest price GetPrice has found for the Square Enix Deus Ex Human Revolution PS3 Playstation 3 Game in Australia is $16.49 from The Nile. Other merchants who stock it are The Nile, The Gamesmen, Amazon AU.